The Old Farmer’s Almanac Weather Watcher’s Spiral calendar contains fascinating images of the Stonehenge, a tornado ripping through a country side, the amazing aurora of the arctic wilderness and many other awe inspiring weather related phenomena. This calendar also features interesting trivia and information related to weather This spiral bound 13 months calendar has ample space for noting down events and appointments and features all US Federal holidays and Canadian National holidays. 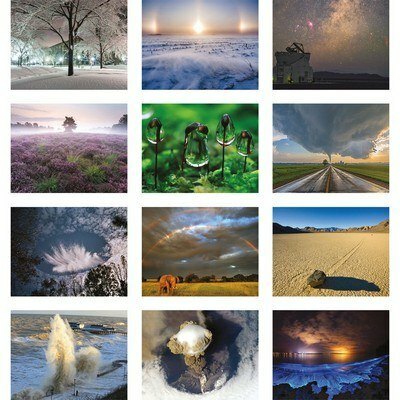 The Old Farmer’s Almanac Weather Watcher’s Spiral calendar contains fascinating images of the Stonehenge, a tornado ripping through a country side, the amazing aurora of the arctic wilderness and many other awe inspiring weather related phenomena. 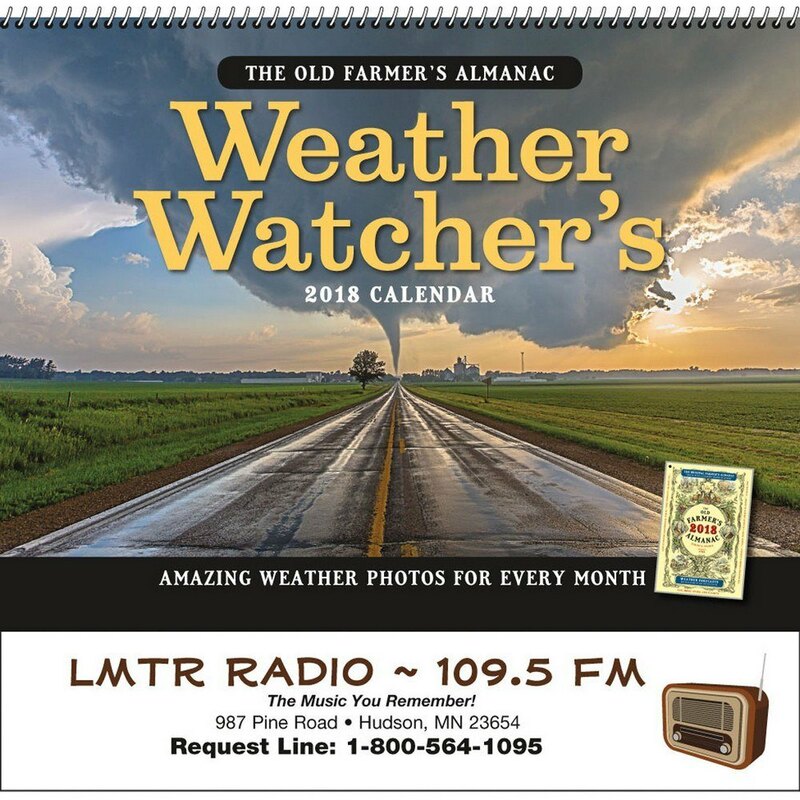 This calendar also features interesting trivia and information related to weather This spiral bound 13 months calendar has ample space for noting down events and appointments and features all US Federal holidays and Canadian National holidays. This amazing collection of information and images is bound to capture the attention of your customers who will also appreciate your thoughtfulness and remember you throughout the year. 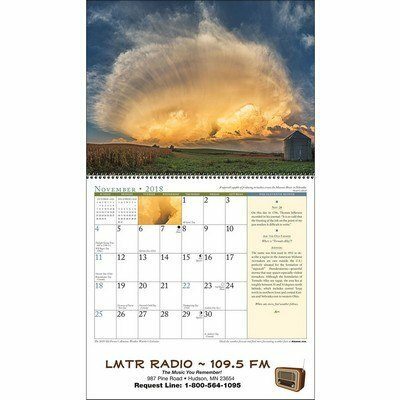 Advertise your merchandise, promote your brand by imprinting on this calendar and publicize your company in a novel way.